Like most practitioners who have studied Tung’s acupuncture system for a number of years, my office shelves are lined with dogeared copies of every English-language book on the subject (and even a few in Chinese) that I have been able to find. Lecture handouts from the few classes available, with hand-written notes crammed into all available white space, have been carefully put into binders and marked for reference. For those of us practising Chinese Medicine outside China, finding new information that has clinical value to our patients can be difficult. Treatment strategies that are efficacious, quickly assimilated into patient care, and can be referenced in less time than it takes to step out of the treatment room to wash your hands, are at a premium. The interest in Master Tung’s acupuncture system has exploded in the past decade because it delivers excellent clinical results whilst being elegant in its minimal use of needles. 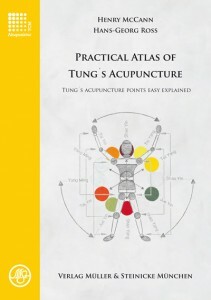 The Practical Atlas of Tung’s Acupuncture is the reference text for which many of us have been waiting. McCann and Ross, both experienced teachers, have designed this text to make it equally valuable to both the nascent student and the seasoned practitioner. The prerequisite clear diagrams, point locations and indications that one would expect to find are laid out in a single-page format for quick reference. Sections four and six, however, are what have put some of the books on my shelves into retirement. Section 4 (‚Symptoms, Syndromes and Disease‘) functions as a point-finder for almost every ailment detailed in Tung’s system, organised in alphabetical order. Master Tung eventually integrated Western medical diagnosis into his family system, and here the diseases and syndromes are listed together so the reader is able to quickly find points for a variety of conditions. 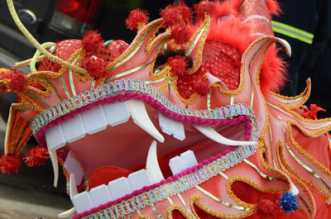 Section 6 (‚Therapeutic Index of Selected Established Point Combinations and Dao Mao Groups‘) collates into a single list point protocols that have previously been published in both Chinese and English by experienced practitioners of Tung’s system. The list covers most of the common ailments that present in clinic, and practitioners new to the system can use the quick reference guide to immediately begin choosing points for treatment. For those more experienced with Tung’s approach the list is extensive enough to enhance one’s current point repertoire, pulling on multiple sources: for example, under migraines 11 points are listed, lower back pain has 25 points, and asthma 18 points. This gives the user a platform to move beyond the standard ‚go-to‘ points with which they are already comfortable. This book stands out not only due to its excellent organisation, but also because of the concise and illuminating discussions of how Tung’s system works. 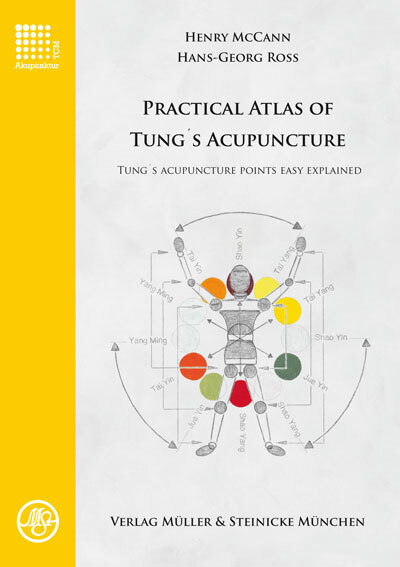 Section 2 (‚Theoretical Basis of Point Selection, Point Location, and Point Indication in Tung’s Acupuncture‘) is invaluable for students of any level studying Tung’s system, and will help them to grasp not only the mechanism but also the ‚personality‘ of each of the points. The art of acupuncture arguably lies in understanding the unique ‚personality‘ of each point in order to create powerful therapeutic effects with a minimal number of needles (rather than needling every point with a similar mechanism in the hope that one might be effective). To help the reader gain this deeper level of understanding the authors outline the channel and zangfu correspondences for each point, as well as how each point resonates with the various tissues in the body. Especially useful are the ‚Special Recommendations‘ that showcase how famous practitioners of the system – such as Miriam Lee, Susan Johnson, Wei- Chieh Young, Richard Tan, Dr. So and Dr. Hu – implement(ed) the points in their own clinical settings. Two cornerstones of Tung’s system are the complementary but separate concepts of zones and image correspondences. In section two McCann and Ross present these subjects in such a way that even practitioners who have used the system for decades will learn something new. The concept of image correspondences, where the human body is mapped out in miniature on its own surfaces, is similar to that found in standard tongue or facial diagnosis – the whole is represented in its parts. Tung further organises the extremities and head into ten separate zones that constitute microcosmic representations of the entire body. The face, hands and feet as separate systems are familiar to most practitioners, although the long bones (i.e. femur or humerus) as microsystems will be less widely known. Master Tung was famous for occasionally asking patients which extremity they would like needled, as he could map the entire body on almost any surface. Clinically speaking, some zones provide better therapeutic outcomes for chronic conditions, while others are more effective for acute illnesses.